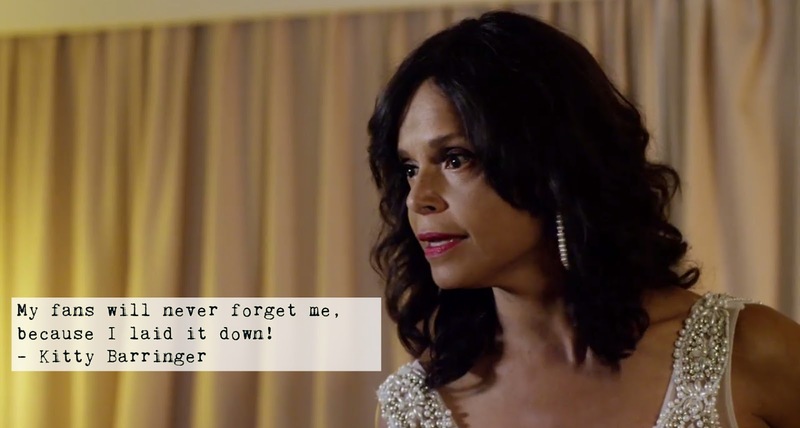 The Rich & The Ruthless, the much-anticipated dramedy created by and starring The Young and the Restless fan favorite Victoria Rowell, premiered on Robert L. Johnson's Urban Movie Channel (UMC) last week. The second episode was released on Saturday, and I can't wait to see what happens next. The Rich & The Ruthless is loosely based on Rowell's popular novels "Secrets of a Soap Opera Diva" and "The Young and the Ruthless: Back in The Bubbles". Written by Rowell and the brilliantly funny Jamey Giddens, the plot centers on Augustus Barringer (Being Mary Jane's Richard Brooks), creator of daytime's only black-owned soap opera, as he battles ruthless network executives, scheming underlings, temperamental soap actors, and budget cuts to keep his show in production. Rowell (who also serves as executive producer and director) stars as Augustus's fresh-from-rehab wife Kitty, a former soap queen determined to reclaim her spotlight. Robert Richard plays Barringer bad boy, Max, a soap opera writer. Chrystale Wilson (The Players Club) is nefarious suds diva Alison Fairchild Roberts, who thinks because she's married to one of the producers she's the Queen Bee. Dawnn Lewis (A Different World) is Beth, the long-suffering wardrobe mistress, and . The Young and the Restless alum Brenda Epperson appears as network executive Edith Norman. Former Bold and the Beautiful star Mykel Shannon Jenkins is soap hunk Derrick Taylor, while B&B's recently returned Kimberlin Brown is set to appear as the mysterious Dr. Maya Cooper. There are plenty of laugh out loud moments, including a laundry room scene featuring Rowell in the second episode. Alesha Renee (MTV's Girl Code) is fabulous as plucky soap heroine Calysta Jeffries, while the supporting cast steals a number of scenes. Rowell also brings the drama, and delivers my favorite line so far during Kitty's argument wtih August. "My fans will never forget me, because I laid it down!" Kitty snarled at the end of the first episode. Watch the trailer below, and check out the first two episodes at umc.tv/film/rich-ruthless/.